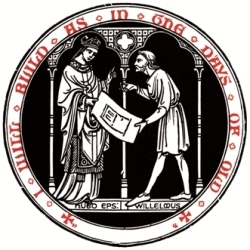 Welcome to the official Architectural and Archaeological Society of Durham and Northumberland website. The Society was founded in 1861 and has pursued an active programme of lectures, field trips and publications ever since. Known locally as “Arch & Arch”, the Society currently provides opportunities for all those interested in archaeology and architecture to find out more about the past in North-East England and internationally. Based in Durham, the Society has interests and members throughout the region. The Society organises day visits to places of interest within the region. Our popular summer excursions spend a few days visiting places of interest elsewhere in Britain. Our lectures cover archaeology and architecture from Prehistory to the Present Day – with topics focusing on North-East England, Britain and across the world. We also organise a range of hands on activities – including, from time to time, excavations and standing building recording. Lectures are held monthly from September to June. Most lectures take place in Durham. The AGM in May is usually held elsewhere in the region, combined with a visit to a heritage site or museum. In December there is a Members Meeting, where individuals can talk about their own interests and bring artefacts for identification and discussion. We welcome members from across the North-East of England to join in our activities. Those based elsewhere in the UK or internationally may be interested in joining to subscribe to our publications, including Durham Archaeological Journal. The Portable Antiquities Scheme is a DCMS funded project to encourage the voluntary recording of archaeological objects found by members of the public in England and Wales. Every year many thousands of objects are discovered, many of these by metal-detector users, but also by people whilst out walking, gardening or going about their daily work. Such discoveries offer an important source for understanding our past. Durham is one of the leading centres for archaeology in the UK being ranked fourth in their subject in the Times Good University Guide 2013 and the Complete University Guide 2013. This is testimony to the Department's success in all aspects of the university experience. 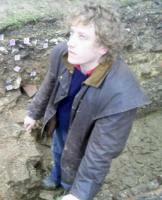 Their research is internationally significant and is currently judged best in the UK for Archaeology.